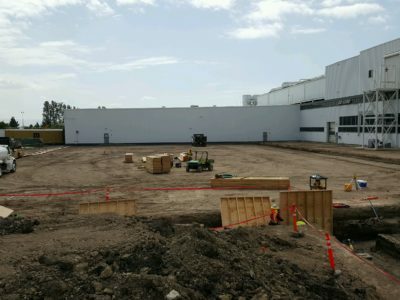 General improvements and additional construction is ongoing at an electric automobile manufacturing facility in Fremont, California, where its renowned electric vehicles are assembled. 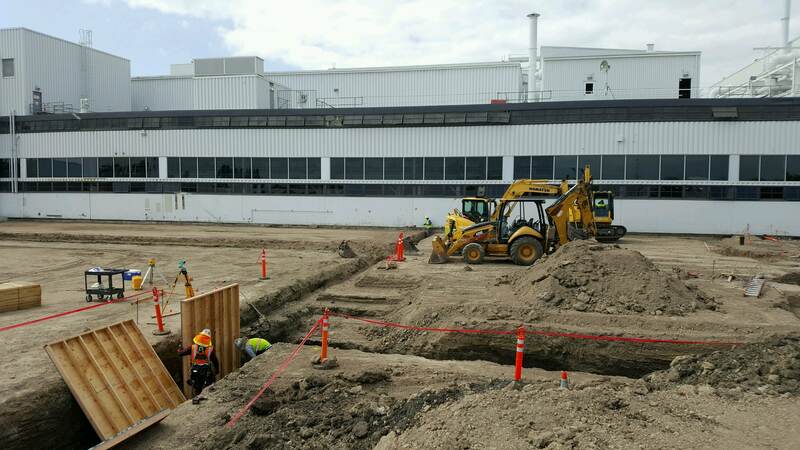 In the spring of 2017, designs were completed for three new buildings that together would serve as an integrated facility on the factory’s south side. 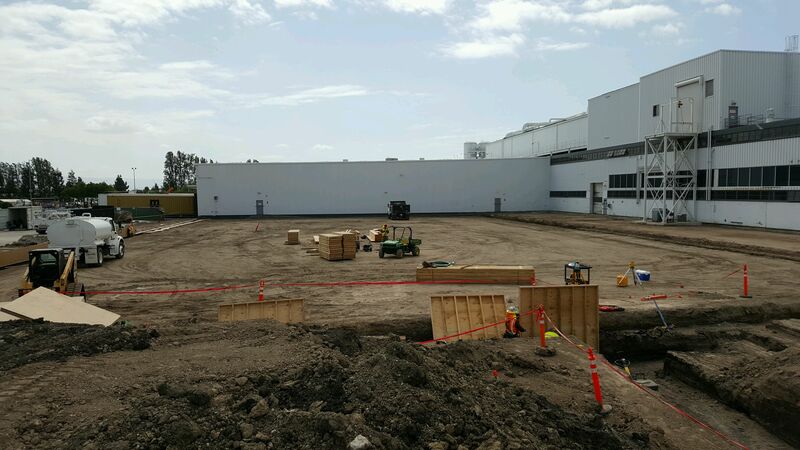 This included the Vertical Storage Retrieval System building, the Receiving building and the Case Storage building. The combined footprint for these new buildings was in excess of 46,000 square feet. 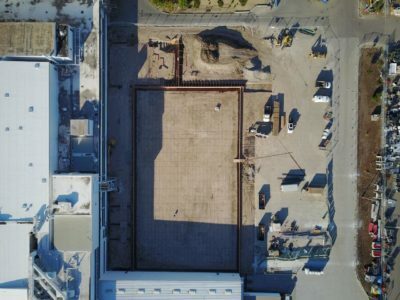 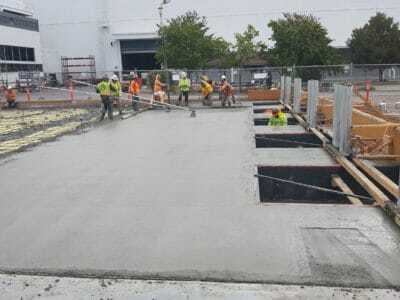 Anvil Builders contracted directly with the electric automobile manufacturing facility for construction of the structural foundations on these three buildings, along with five loading docks and ramps, and miscellaneous parking lot/courtyard paving. 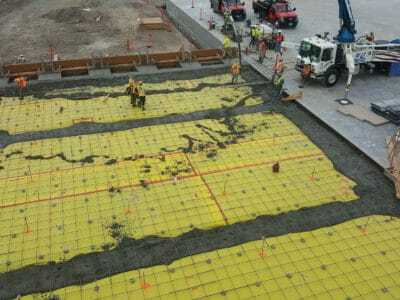 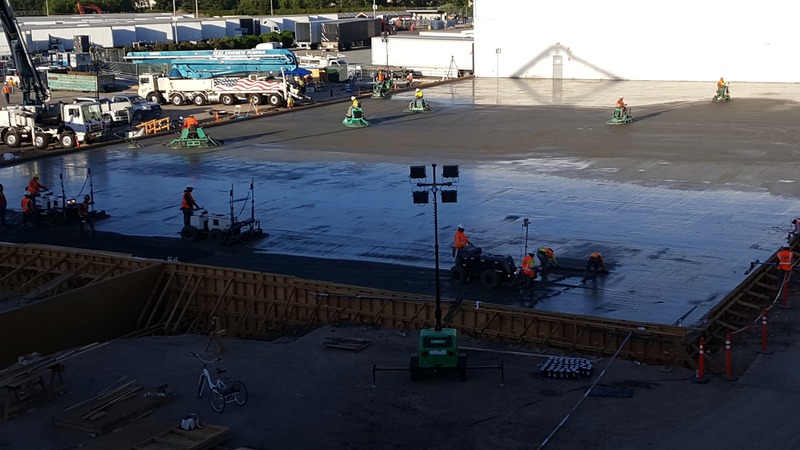 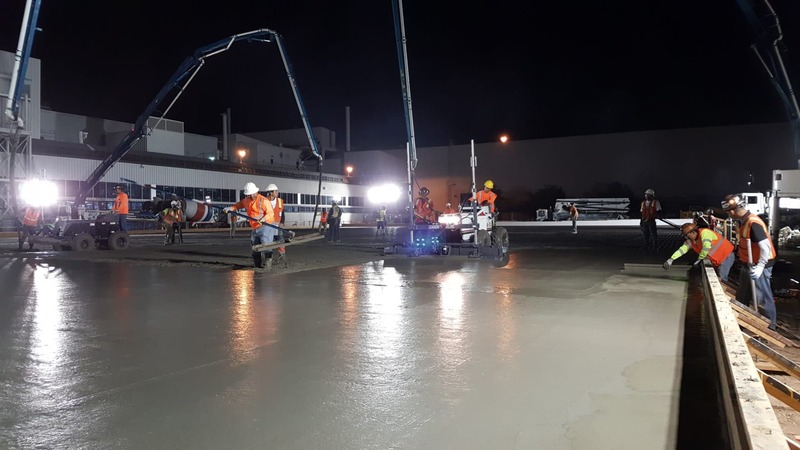 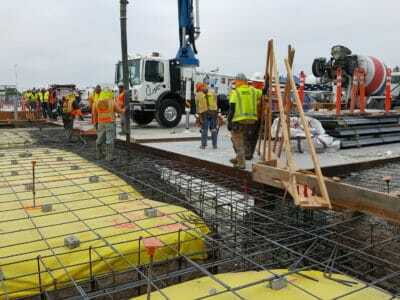 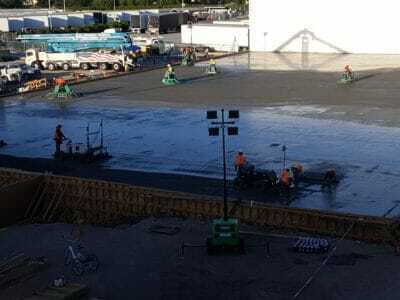 The total structural concrete placed approached nearly 4,000 cubic yards, with 3,000 yards needing to be placed in a continuous pour over the course of a single 12-hour shift overnight. 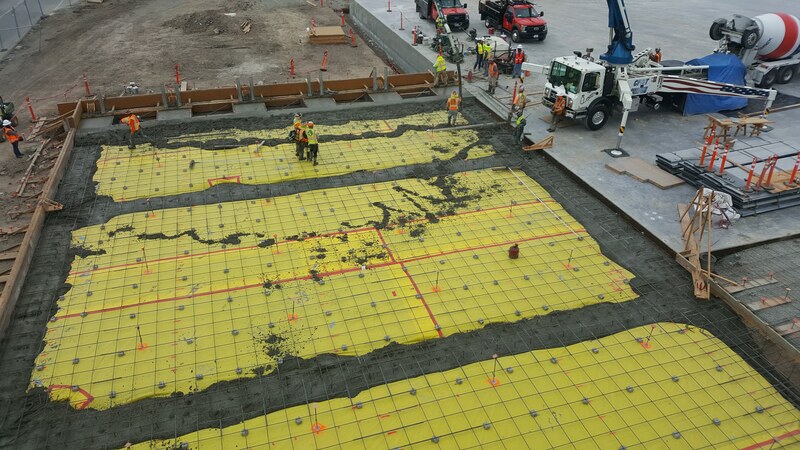 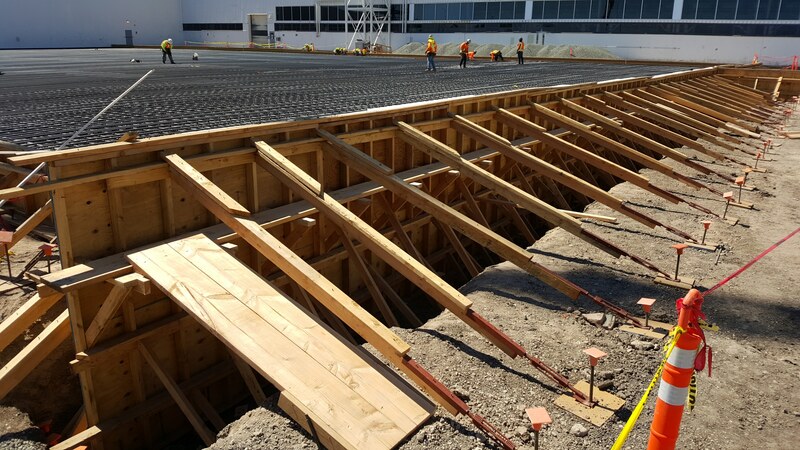 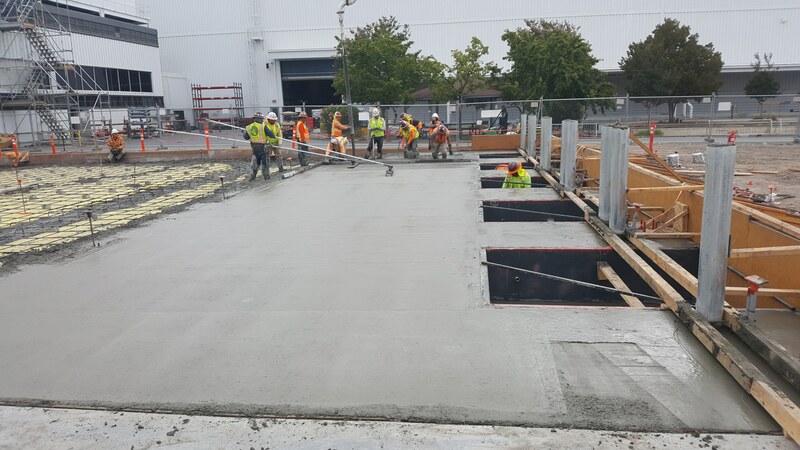 Careful coordination with other trades was critical during these pours, in order that anchor bolts for structural steel members, embedments for walls and loading docks were properly situated. 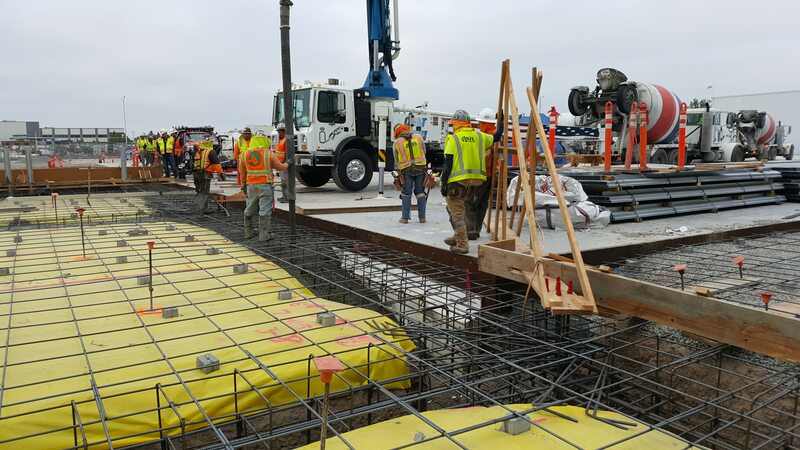 Planning and coordination both prior to and during these large continuous pours was the principle hurdle faced during construction, but Anvil also overcame a number of other complications. 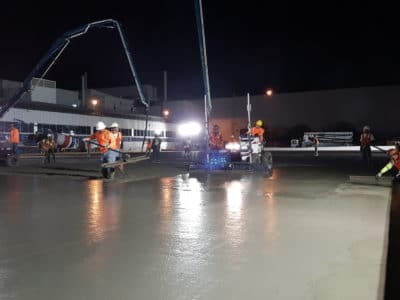 Additional work added to the contract with no time added to the contract required that several work activities be scheduled for nighttime shifts and on weekends. 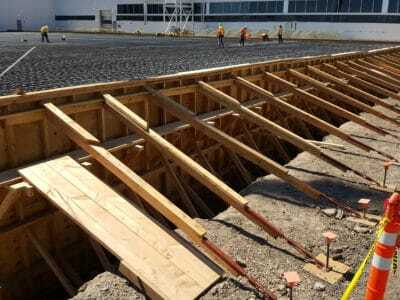 And with the bulk of the work taking place in summertime, Anvil had to carefully assess its work environment to ensure the safety of its workers, when daytime highs would often reach 110˚F or higher. 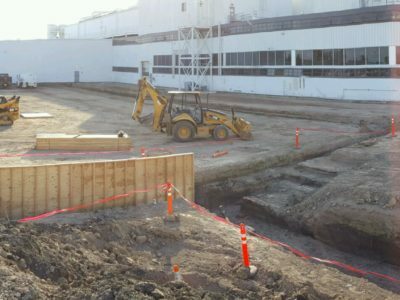 Other misc. 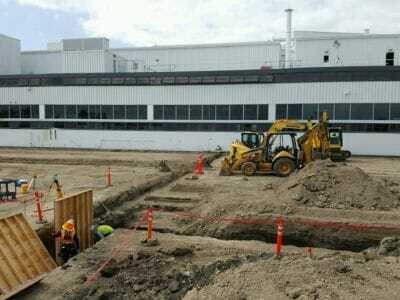 work included SD catch basins and trench drains to collect water from building rain water leaders.